Do you love wine, summer and grilling? 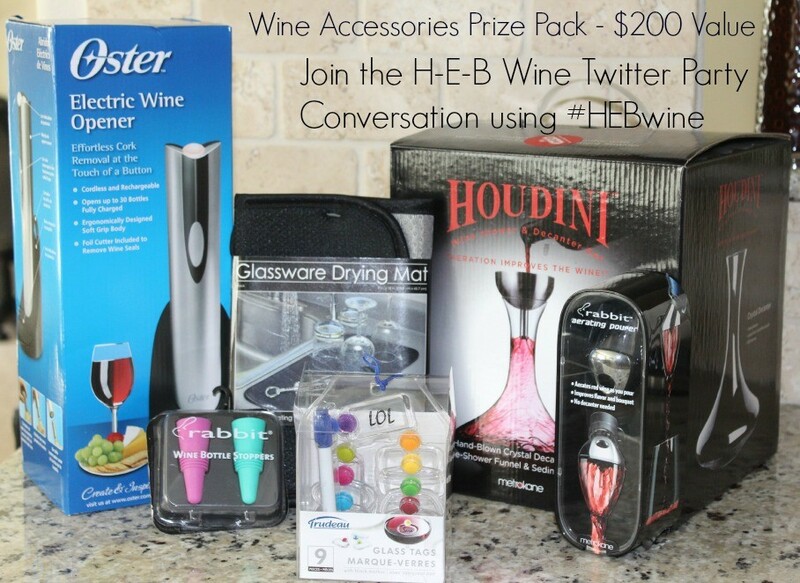 If you answered yes, then please join H-E-B and myself tonight for a Wine Twitter Party. H-E-B’s wine buyer Dan Schuette will be on hand to chat about all things summer wine, including tips on summer wine pairings, grilling and entertaining. He’ll also answer your questions! From an electric wine opener and glass decanter, to fun wine glass tags and wine bottle stoppers – this is one fantastic prize pack. There will also be H-E-B gift cards up for grabs for those who ask questions. Sounds fun doesn’t it? 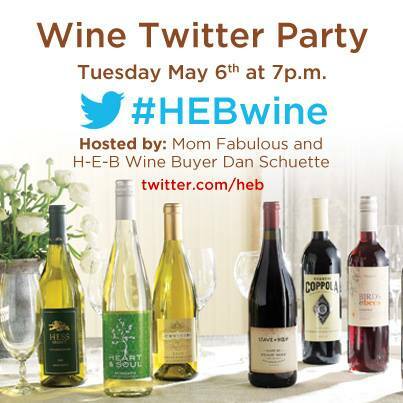 The H-E-B Wine Twitter Party begins tonight, May 6th, at 7 pm central time. Use the hashtag #HEBWine to join in the conversation. Follow me @juliebonner and @HEB. Don’t miss it! I hope to see you there. Disclosure: I’m participating in this Twitter chat in partnership with H-E-B. I received an H-E-B gift card and samples to facilitate my post and as a thank you for participating.